A beautiful new day on Dinosaur Island. Click to enlarge. 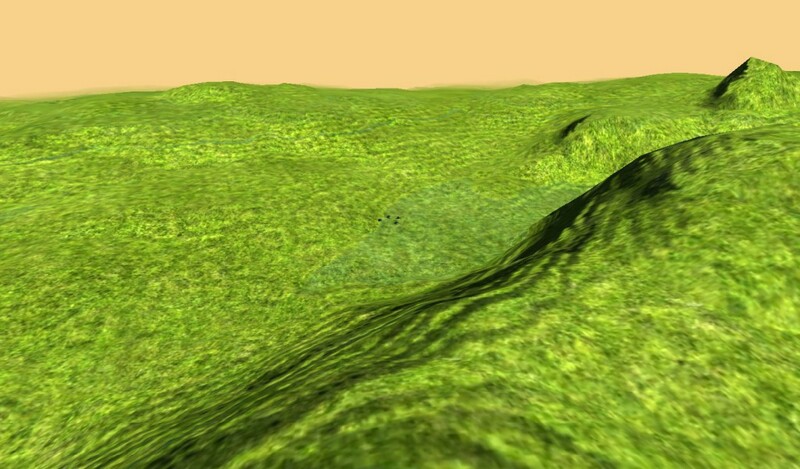 First, I wanted to thank Simon, in the UK, who has been helping me learn the Synapse Games SunBurn 3D engine. I think the island is looking pretty amazing; and we haven’t even added the plants and dinosaurs, yet! Also, I haven’t found a good video capture program yet. I’m zooming all around the island in real-time – and it looks great – but I can’t share this with you. All I can post are a couple of still images. I’m anticipating a pretty exciting surprise for the island shortly. Stay tuned. There are four stegosaurus in this picture to scale. Can you find them? Screen capture. 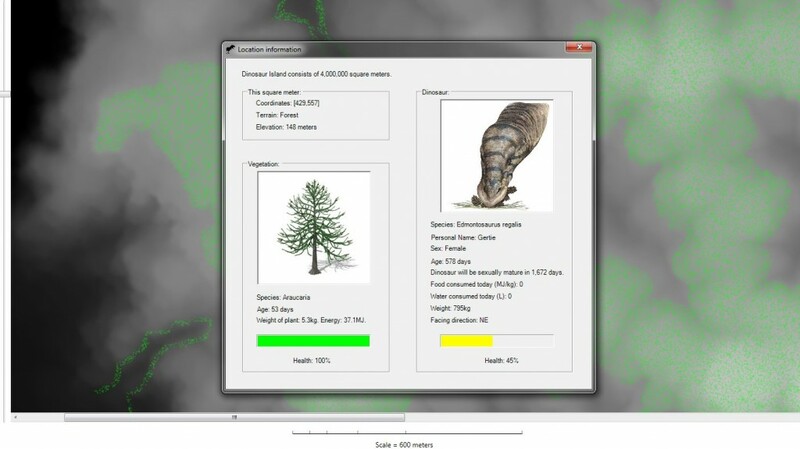 We have just begun the process of importing the Dinosaur Island data into the 3D engine. 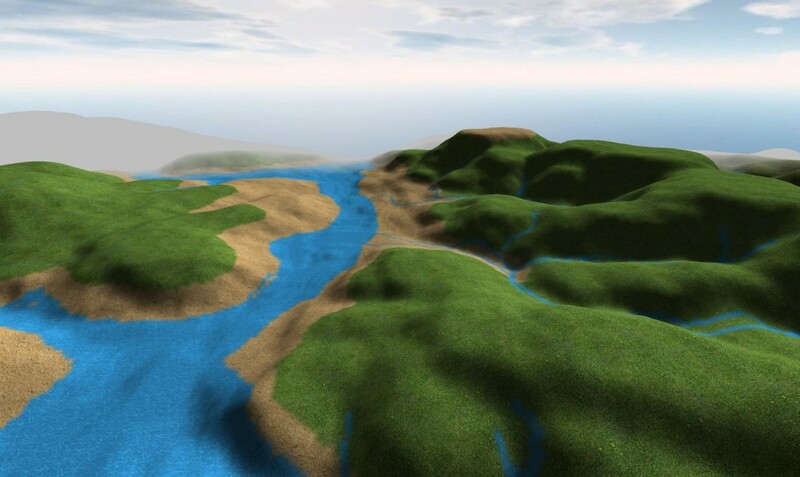 The terrain textures are not in place, the vegetation is not in place, the animated water is not in place, the dinosaurs are not in place, but the sheer scale of the island blew us away. Another view of the herd of stegosaurus (screen capture). Yes, they are to scale in the center of the picture. We had to make a video of a flyby so you can see just how big Dinosaur Island is. Sorry for the poor quality, we just grabbed a video camera and filmed off the screen. The video starts by zooming over 4 stegosaurus in the foreground. The music is by Ezra Sidran (piano) and Jason Stuart (guitar). The details of Dinosaur Island. Just a portion of the data that we are storing about each square meter of Dinosaur Island (screen capture, click to enlarge). The above screen shot shows your just a fraction of the data that we are storing for each of the 4,000,000 square meters of Dinosaur Island. We are tracking the age, health, energy production and weight of every plant on the island. You can also see the data stored for each dinosaur. It’s important to remember that you, the user, do not need to know any of this information. However the computer model uses this data to ensure that everything that happens on the island is accurate: the plants are growing at the right rate, producing the right amount of energy, dinosaurs are maturing, reproducing, moving and hunting. The more data the more accurate the model. Also, remember that Dinosaur Island will be in 3D. These are the 2D utilities that are used ‘behind the scenes’ to set everything up. A few more screen shots. A map of Nipa plants on Dinosaur Island. Detailed Information about a Nipa plant in a swamp. Dr. Karen Chin has suggested that Nipa and Araucaria plants would be a suitable food source for Edmontosaurus on Dinosaur Island. 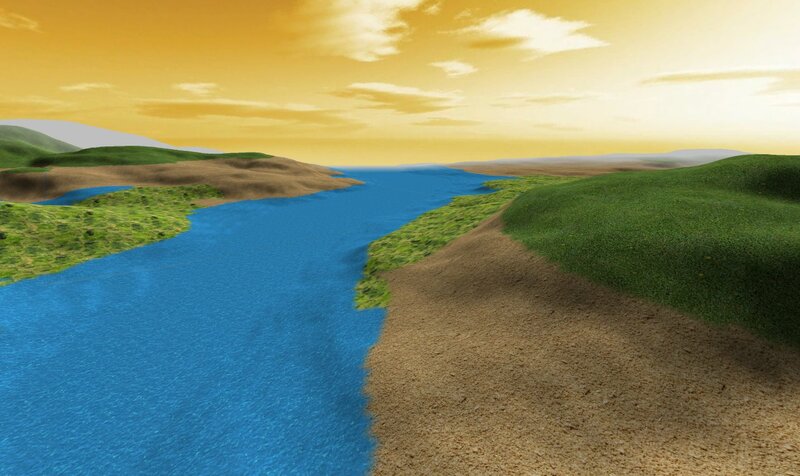 Pictured above are two new screen shots showing a map of where Nipa plants are growing in a swamp and by rivers. 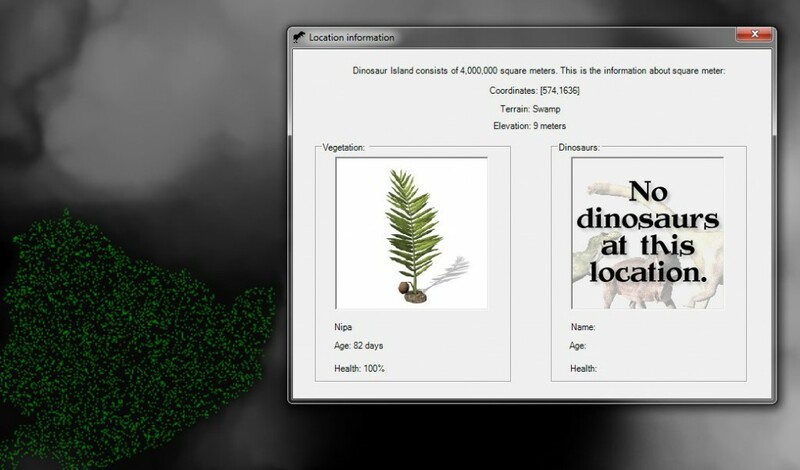 The second screen shot shows detailed information about one square meter of Dinosaur Island. It is important to remember that Dinosaur Island will be in 3D. Just the utilities needed to create the island are ‘top down’ and in 2D. How we plant on Dinosaur Island; screen capture of the planting interface. It’s spring on Dinosaur Island and that means it’s time to start planting! 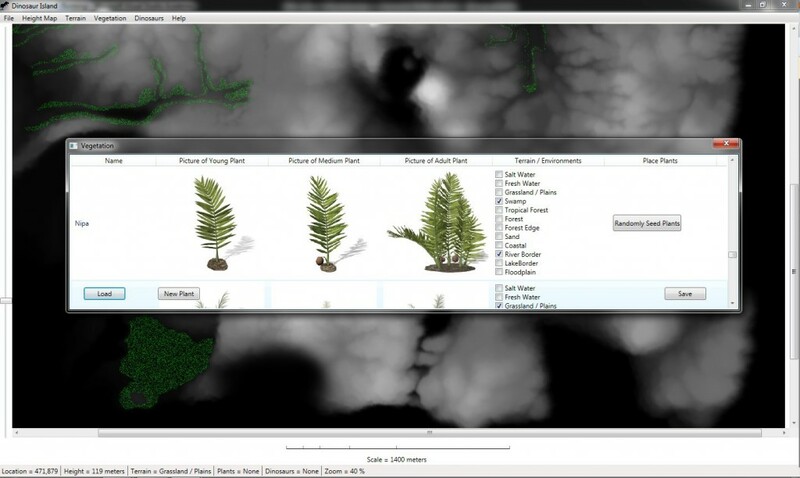 Above is a screen capture of the interface to add plants to Dinosaur Island, select the terrain / environment in which they grow (remember all the work on creating the terrain previously? 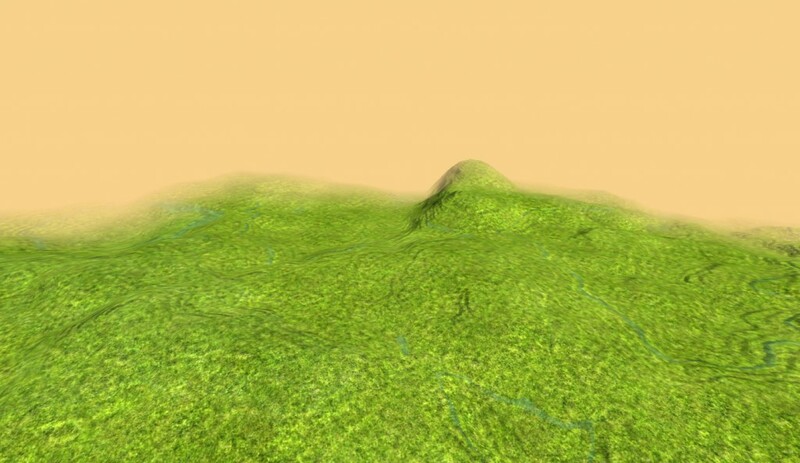 ), select images for the plants for their three stages of development (we have an agreement with xFrog who created these prehistoric plants, and, lastly, ‘plant’ this vegetation in the appropriate terrain / environment. We’re looking at starting off with 20 different types of plants and trees. We will be tracking each individual plant, shrub or tree throughout its entire life cycle. We will also track its health. The above screen capture is another glimpse ‘behind the scenes’ of Dinosaur Island. Most users probably won’t want to get this involved, but we need to have this capability to create different environments, with the appropriate flora, for the various eras of dinosaurs. Things are progressing rapidly on Dinosaur Island. Next week: see the results of planting all these ferns, bushes and trees. And, after that, it’s time for the dinosaurs!